Keep your clients informed and up to date with our extensive article library. 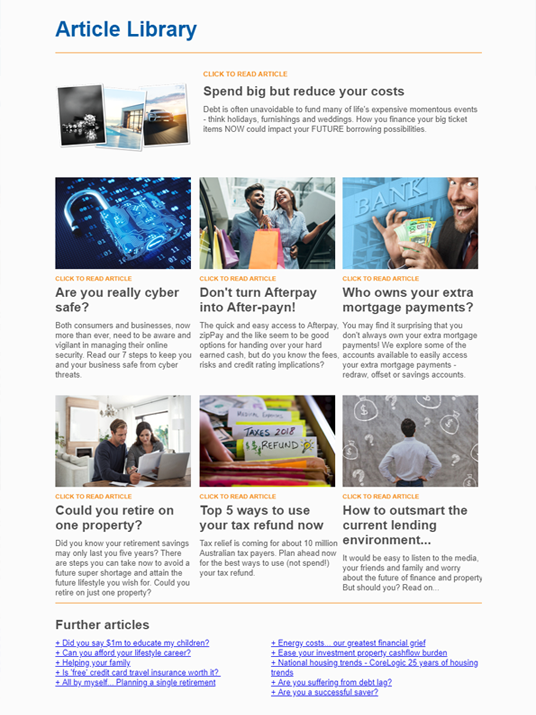 Add the article library to your package and we will update your website automatically every quarter when each new magazine is issued to your clients and will also include updating the monthly campaigns and articles for you as well. Finance Matters articles from the last 12 months marketing campaigns. Article library of the Finance Matters magazine (subject to copyright) updated quarterly. Preview of latest magazines articles. Subscribe to my magazine area.